A World Health Organization report—Antibacterial agents in clinical development–an analysis of the antibacterial clinical development pipeline, including tuberculosis—paints a scary picture of antimicrobial resistance (AMR). It says that those antibiotics, which are almost in the pipeline as far as research goes, will fail to combat the growing threat of AMR. Most drugs currently in the clinical pipeline stage are modifications of existing classes of antibiotics and are only short-term solutions. 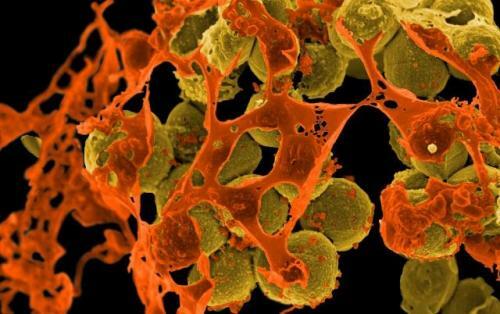 The report finds very few potential treatment options for those antibiotic-resistant infections identified by the international health agency as posing the greatest threat to public health. This includes drug-resistant tuberculosis, which kills around 250,000 people each year. Among all candidate medicines, only eight have been categorised by the health agency as innovative drugs that will add value to the current antibiotic treatment. In addition to multidrug-resistant tuberculosis, WHO has identified 12 classes of priority pathogens, some of them causing common infections such as pneumonia or urinary tract infections. These are increasingly becoming resistant to existing antibiotics and are urgently in need of new treatments. The report identifies 51 new antibiotics and biologicals in clinical development to treat priority antibiotic-resistant pathogens as well as tuberculosis and the deadly diarrhoeal infection Clostridium difficile. There is a serious lack of treatment options for multidrug-and extensively drug-resistant M tuberculosis and gram-negative pathogens, including Acinetobacter and Enterobacteriaceae (such as Klebsiella and E.coli), which can cause severe and often deadly infections that pose a particular threat in hospitals and nursing homes. There are also very few oral antibiotics in the pipeline, yet these are essential formulations for treating infections outside hospitals or in resource-limited settings. “Pharmaceutical companies and researchers must urgently focus on new antibiotics against certain types of extremely serious infections that can kill patients in a matter of days because we have no line of defence,” says Dr Suzanne Hill, director of the department of essential medicines at WHO. To counter the threat, WHO and the Drugs for Neglected Diseases Initiative set up the Global Antibiotic Research and Development Partnership, known as GARDP. On September 4, Germany, Luxembourg, the Netherlands, South Africa, Switzerland, the United Kingdom and the Wellcome Trust pledged more than € 56 million for the work. “Research for tuberculosis is seriously underfunded, with only two new antibiotics for treatment of drug-resistant tuberculosis having reached the market in over 70 years,” says Mario Raviglione, director of the WHO Global TB Programme. “If we are to end TB, more than US $ 800 million per year is urgently needed to fund research for new anti-TB medicines”.